A tenant in a NYC apartment found himself victim to blood-sucking bedbugs. He woke up one morning with multiple swollen red bite marks on his arm, shoulder, and face. Later, he experienced uncomfortable itching. He learned the apartment manager was taking steps to exterminate the pests, but he didn’t move out of the the apartment. Months later, when his landlord served a notice to terminate his tenancy for nonpayment of rent, the tenant fought back. He hired a lawyer and claimed he was not required to pay rent for the period of time he was subject to bedbugs. 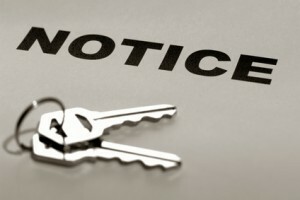 At the hearing several weeks later, the court agreed with the tenant and reduced the award for nonpayment accordingly. Had the amount been reduced to the total unpaid rent claimed by the landlord, the tenant would have been entitled to request reimbursement of his attorneys fees and the costs to defend the eviction. While there are many different laws that affect eviction cases, there is one thing that all landlords and property managers agree on: it’s much easier to put the tenant into the property than it is to get them out. The best defense to a costly eviction is to obtain a thorough tenant background check, including an eviction report and criminal background check before you compromise your rights to your rental property. Falls behind with the rent. Violates a material provision of the lease and won’t cure the problem after notice. Engages in illegal or dangerous behavior involving the premises. What’s more, the tenant typically has the right to object to the eviction, and often can bring their claims before a judge or hearing officer. Perhaps the landlord was slow to repair an item on the premises, or the tenant experienced a loss of electrical power during a hot summer day. Maybe the tenant is aware that another tenant committed an offense but was not threatened with eviction. Maintain contemporaneous documentation of all phases of the tenancy, including repair reports, the resolution of the tenant’s complaints, as well as any remedial action taken to cure a problem prior to filing an eviction. In cases where the tenant may have grounds to contest the eviction, the best remedy could be to try to work out a compromise and avoid the costs and risks of a court action. Previous post: Is Your Rental Application Up-to-Date?